Scientists discovered when kangaroos learned how to hop and it’s earlier than it was previously thought. According to the new evidence and fossils found, the origin of the first hop goes back to 20 million years ago. 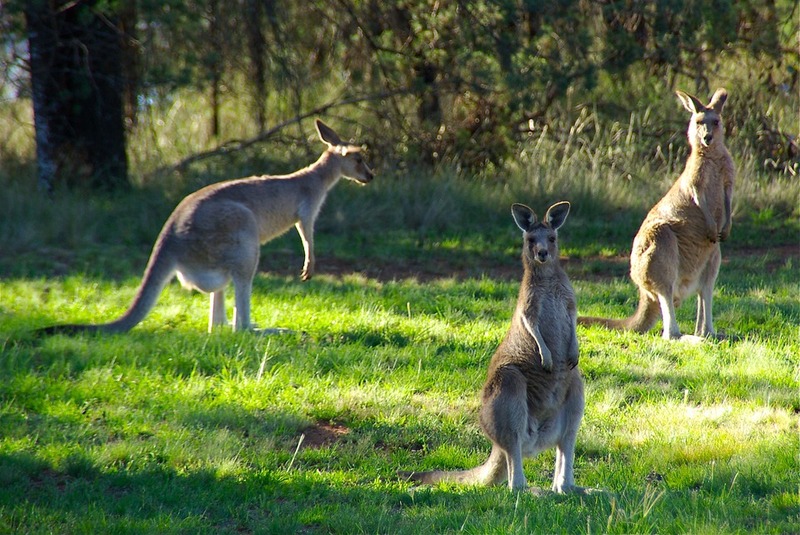 Today, kangaroos are the only mammals to use hopping on two legs as their form of moving around. They can cover a large distance which is the most effective in open spaces such as grasslands and deserts. The long-time extinct cousins of modern kangaroos could also hop according to the fossilized foot bones found. They also were able to move on four legs and climb trees. The rare fossils were found at Riversleigh, Australia in the north-west part of Queensland. The site in the Riversleigh is known for animal remains including lizards, crocodiles, marsupials, snakes, and bats. The rover that will be sent to Mars in 2020 will be named after the DNA pioneer Rosalind Franklin. The rover that will be sent to Mars in 2020 will be named after the DNA pioneer Rosalind Franklin. The decision was made after a public call for any suggestions which drew attention for around 36 000 people from across Europe. Tim Peake, astronaut revealed the name at the Airbus factory in Stevenage where the rover was put together. The rover will be a six-wheeled vehicle equipped with all the necessary instruments and a drill to search for any form of past or present life on Mars. Since the rover name is closely associated with a molecule fundamental to biology, it seems that the name is appropriate for the mission of the rover. In 1952, Rosalind Franklin was investigating atomic arrangement of DNA at King’s College London. Based on her images, known as Photo 51, the first three-dimensional model of DNA was built. Her work is a great achievement in the 20th century. Unfortunately, she died in 1958 at the age of 37 and she could not be considered for the Nobel Prize in 1962 when colleges from the King’s College received the Nobel Prize. Many believe that her contribution was not addressed as it should be and that it has been even underplayed. According to scientists, the 10 warmest years since the records began in 1850 are ahead of us. It is possible that temperatures for each of the next five years will be 1C higher than the pre-industrial level. It is also possible that in the next five years, the average global temperature could be greater than 1.5 C.
This is perceived to be a critical threshold for climate change. If the forecast proves to be correct, the years between 2014 and 2023 will be the warmest years in the past 150 years of recording the temperature. The Met Office stated that 2015 was the first year in which the annual average temperature will be higher than 1C than in the pre-industrial times (from 1850 to 1900). It would take a massive cutting of carbon for the world to stop warming. Scientists are not optimistic. The Met Office analysis said there is a 10% chance for the world to cut carbon massively and significantly enough for global warming to stop with the current pace.